The Regional Humanitarian Policy and Advocacy Manager is responsible for leading the development and implementation of a regional humanitarian advocacy strategy and commissioning policy in coordination with national, regional and global stakeholders to influence decision-makers to uphold and protect children’s rights. In line with Save the Children’s commitment to the Core Humanitarian Standard and the Grand Bargain, the role holder will engage with regional stakeholders and shape movement-wide policy development on accountability to affected populations, localization and humanitarian-development coherence. In situations of protracted and/or emerging armed conflict, he/she will support country offices to deliver advocacy and campaign strategies to protect children’s rights. As a member of the regional humanitarian leadership team, he/she will provide advocacy and policy support to country offices delivering humanitarian responses across the region and will deploy to large-scale rapid-onset and/or protracted crises as part of the response team. He/she will support the Regional Advocacy and Campaign Director and Regional Humanitarian Director to represent Save the Children in external decision-making and networking fora across the region. The Manager will be responsible for delivering humanitarian advocacy capacity building initiatives to strengthen regional capacity to advocate effectively for children’s rights in emergencies. 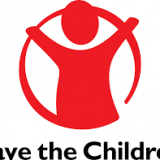 He/she will be a member of Save the Children’s global Humanitarian Advocacy Working Group (HAWG) and is accountable for ensuring that members and Advocacy Offices have access to timely and contextually relevant briefing material to influence positive change for children. * Experience in leading the creation and implementation of a strategy, demonstrating the ability to identify the necessary steps towards an ambitious goal. * Excellence in written and spoken English. Qualifications and experience * Knowledge of children’s rights key international agreements and conventions * A minimum of five years’ advocacy experience in an NGO environment, with experience in successfully leading the development and implementation of advocacy strategies * Experience of working in humanitarian contexts and knowledge of key trends in the humanitarian sector * Experience in leading the creation and implementation of a strategy, demonstrating the ability to identify the necessary steps towards an ambitious goal. * Experience of a range of campaigning and advocacy techniques and approaches * Experience in influencing government, donors, and other organisations through representation and/or advocacy * Demonstrable creative ability in accessing new opportunities, expertise and ideas * Demonstrable track record of leading change which has led to significant results for the organisation and their stakeholders * Highly developed interpersonal and communication skills including influencing and negotiation * Highly developed cultural awareness and ability to work well in an environment with people from diverse backgrounds and cultures * Strong results orientation, with the ability to challenge existing mindsets * Ability to present complex information in a succinct and compelling manner * Strong research and policy development skills * Experience of building networks, resulting in securing significant new opportunities for the organisation * Experience of solving complex issues through analysis, definition of a clear way forward and ensuring buy in * Knowledge of children’s rights key international agreements and conventions * Commitment to Save the Children values * Excellence in written and spoken English.